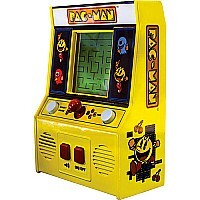 It's the insatiable character that virtually began video gaming, back in the day! This 6" throwback plays just like the original, with arcade sounds, a joystick and 2 play modes. 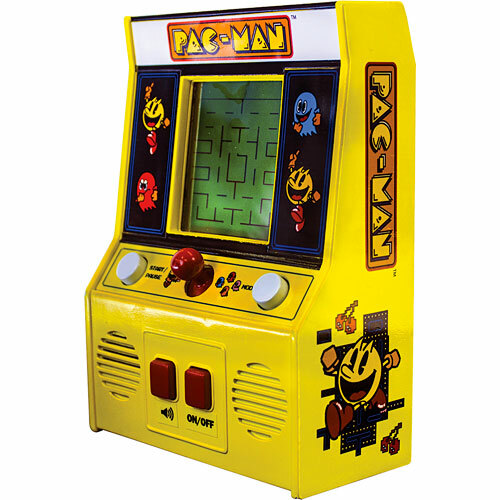 Move the joystick to move Pac-man around the maze and gobble up the dots, but watch out for ghosts! Timeless! Includes 2 AA batteries. 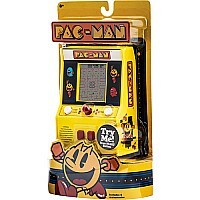 For 1 or 2 players, ages 8 yrs-teen, from Schylling Toys.